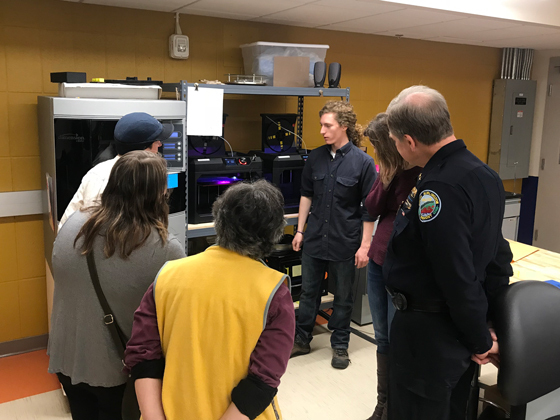 An incubator for ideas and a place to engage people’s imaginations, the UVM FabLab makes rapid-prototyping tools available to UVM students and faculty. 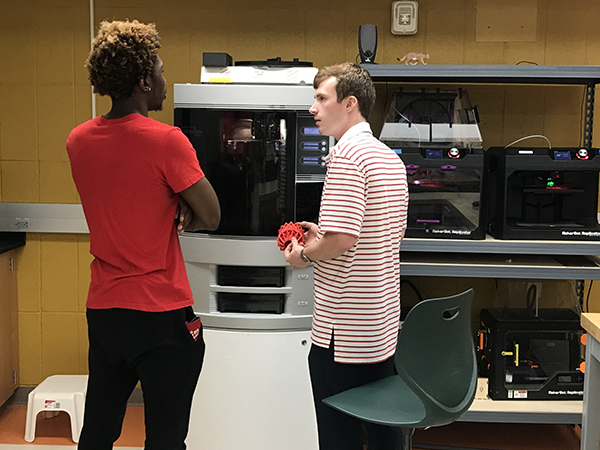 The lab provides the opportunity for interaction in developing and testing innovative products and designs.We encourage projects that support research, innovation and creativity, and student work that is supported by coursework and professors. 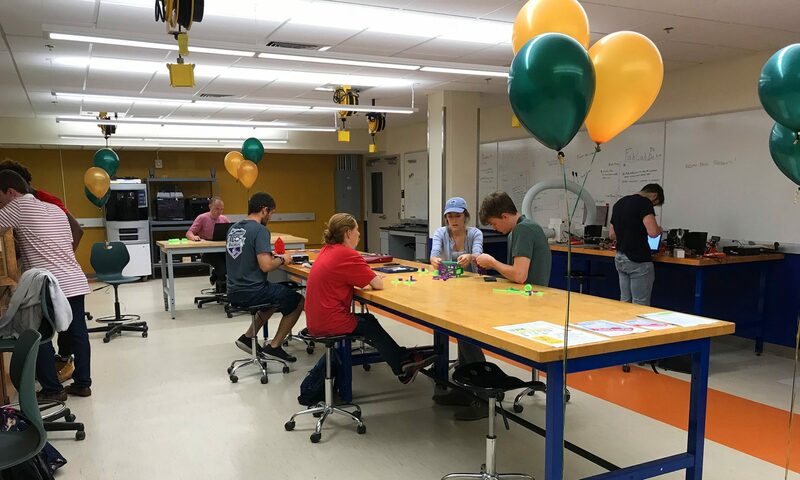 The UVM FabLab is funded by the College of Engineering and Mathematical Sciences with support from the Office of the Vice President for Research. 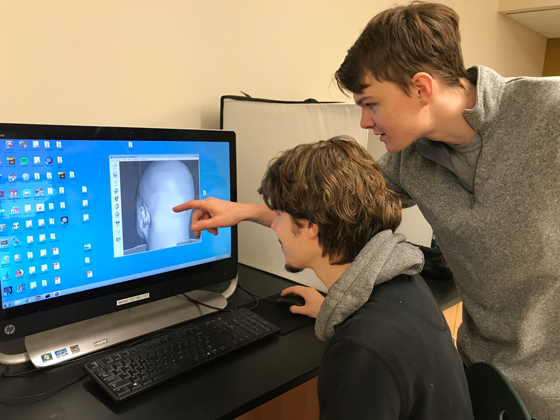 In 2015 we received new lab furniture and work stations thanks to a generous donation from Production Basics, Inc.
Stop by during our staffed hours and fill out a ticket. Which machine is needed for your project? Is this for a class or SEED project? When would you like it completed? How much material will be required? Are there any special instructions for making this part? You can bring us your part file on a flash drive or email it to us at fablab@uvm.edu. Please send a note with a description of your project to fablab@uvm.edu.